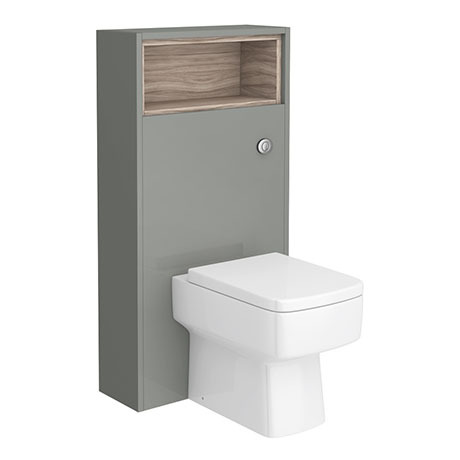 The minimalist Haywood gloss grey tall WC unit with open shelf is ideal for adding a sophisticated touch to any bathroom. The Haywood furniture range is great for creating a bathroom space that is fresh, modern and unique. Combine it with one of the back to wall pans and concealed WC cisterns from our extensive sanitaryware range to complete the look. Please note: back to wall pan and cistern sold separately. Please note - back to wall pan and cistern sold separately.